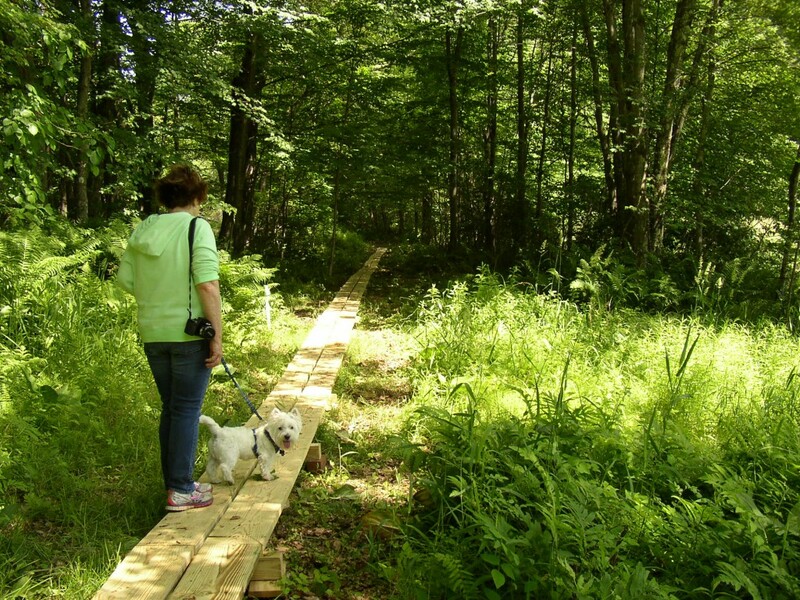 In early June, a 250-ft. boardwalk was built at Meadowview by volunteers of the Harwinton Land Trust. The boardwalk spans a soggy part of the Land Trust property and moves the trail farther away from private property and closer to the scenic marsh. Big thanks go to Rob Lesniewski, the Trust’s Land Steward at Meadowview, for heading things up. Many thanks also go to Herb Etter, Gary Griffin, Bill Lindquist, Elaine and Bob Sederquist, and Bob Orciari. The volunteers worked hard to complete 250 feet of boardwalk in only two mornings, but came away with a great sense of accomplishment. 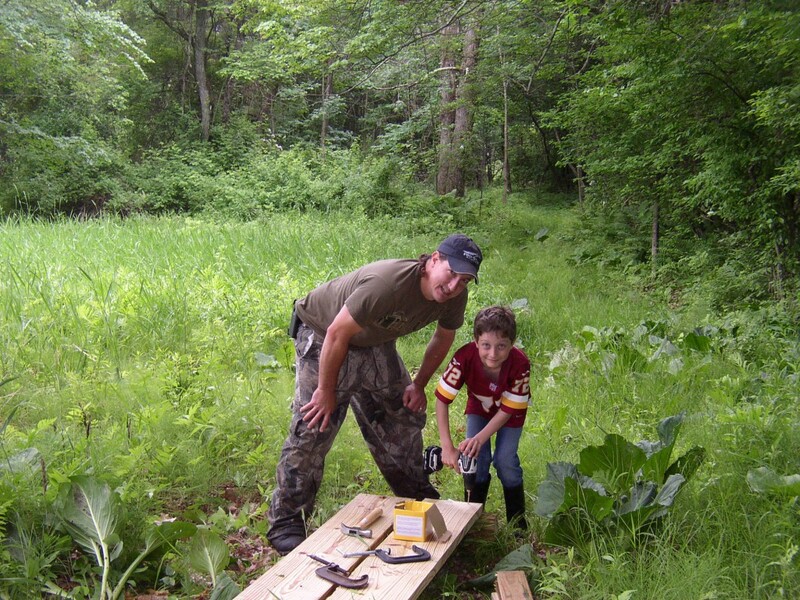 Rob and son, Austin, putting the very last screw into the end of the boardwalk. Visitors to the property can now walk to Meadowview Pond without getting their feet wet, at least during normal weather conditions. It will also provide much better views of the large marsh for wildlife observation. The Land Trust is excited about completing the new boardwalk and hopes people will take the time to visit Meadowview. Street-side parking is available on Meadowview Drive at the bottom of the street’s long hill and just past the guard rails. The trail begins just to the right of the Land Trust sign. It takes only about 10 minutes to reach Meadowview Pond. The Westie appreciated not getting its paws wet.